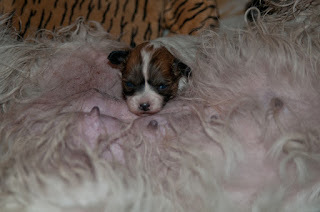 Pictures from Yesterday, To Be is growing good now. 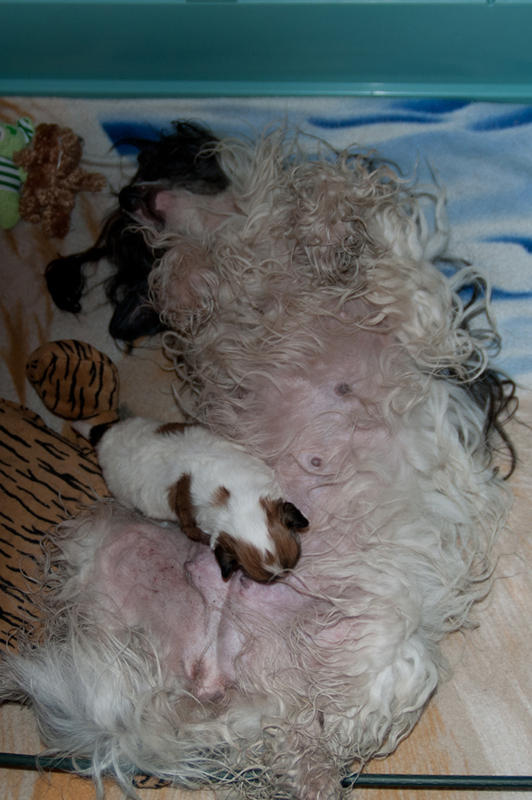 In the begin she was loosing some weight. We are watching now that she not only sleeping but also gonna drink. 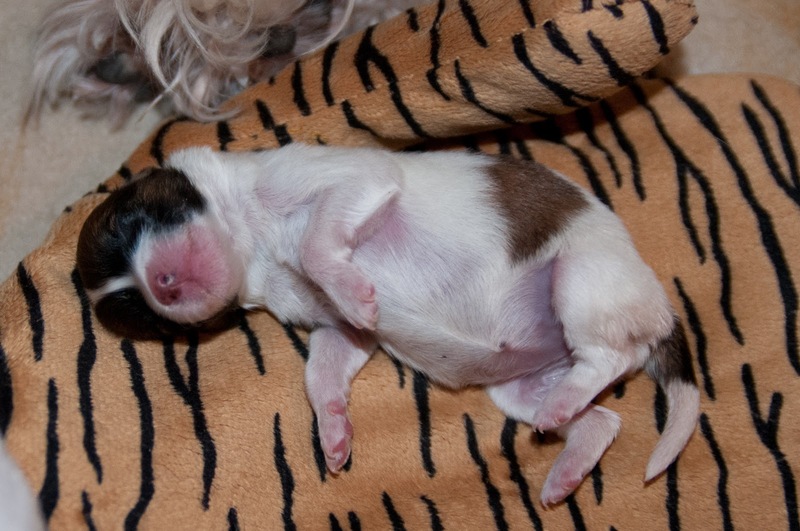 At the moment she is 168 Gram. 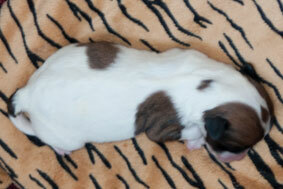 At our Kennel we have our T-Litter. 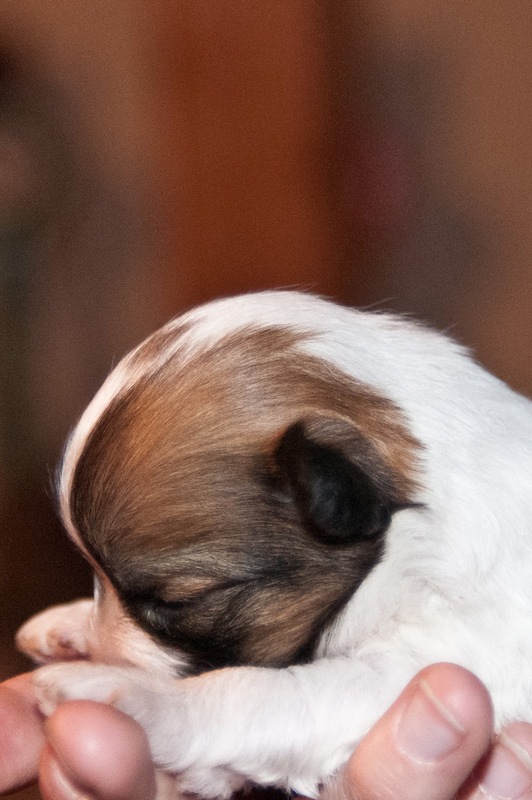 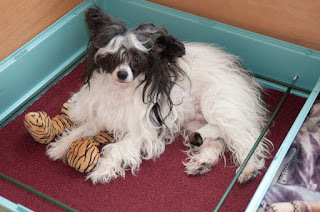 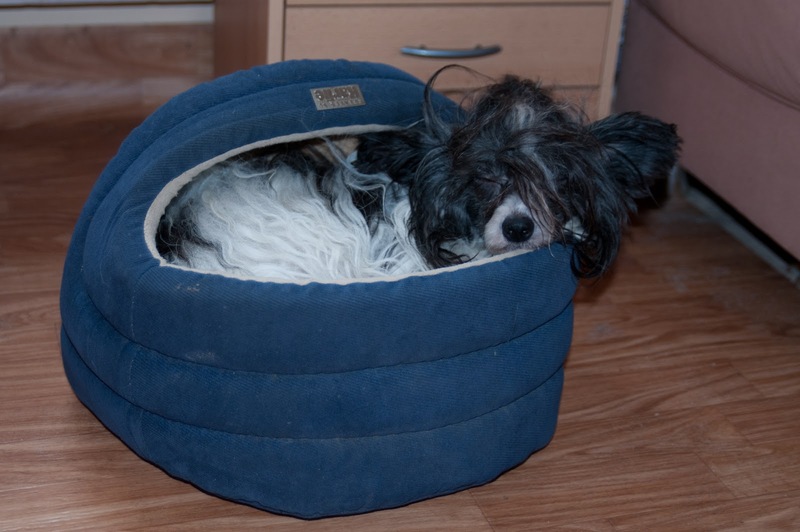 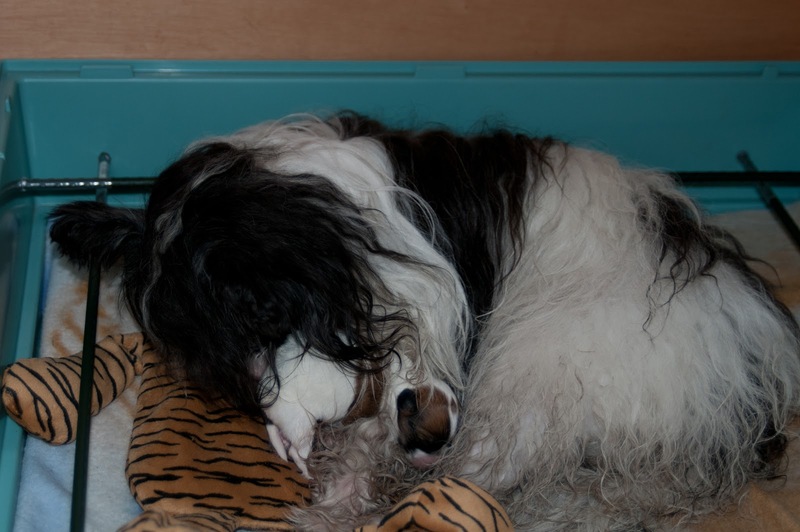 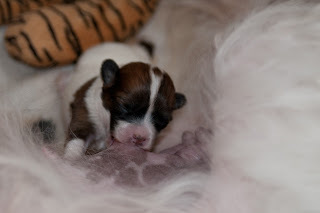 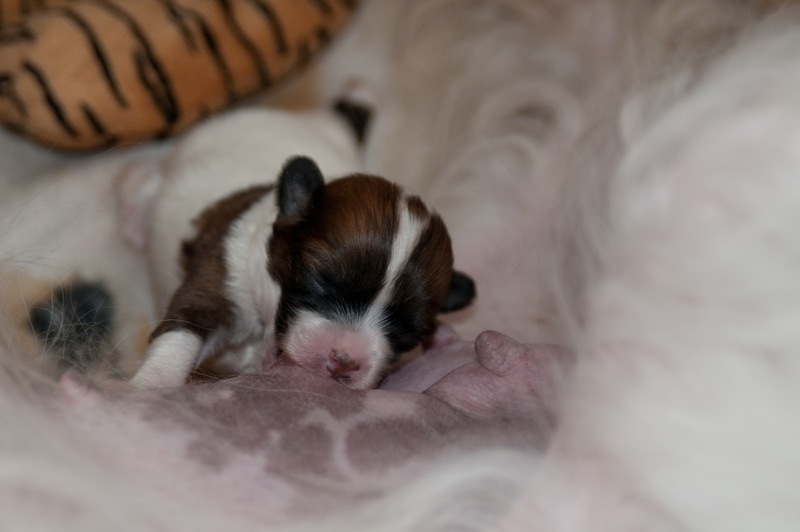 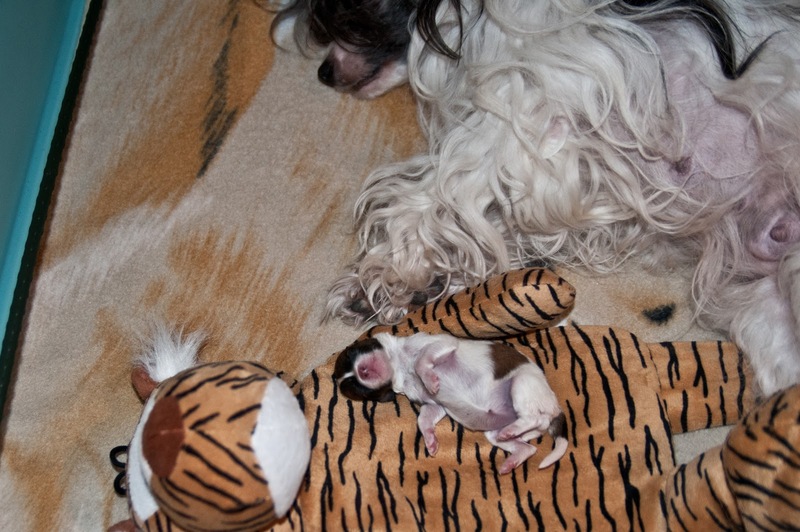 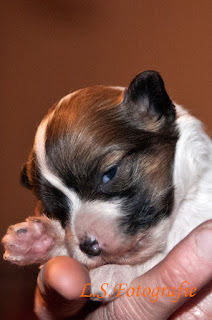 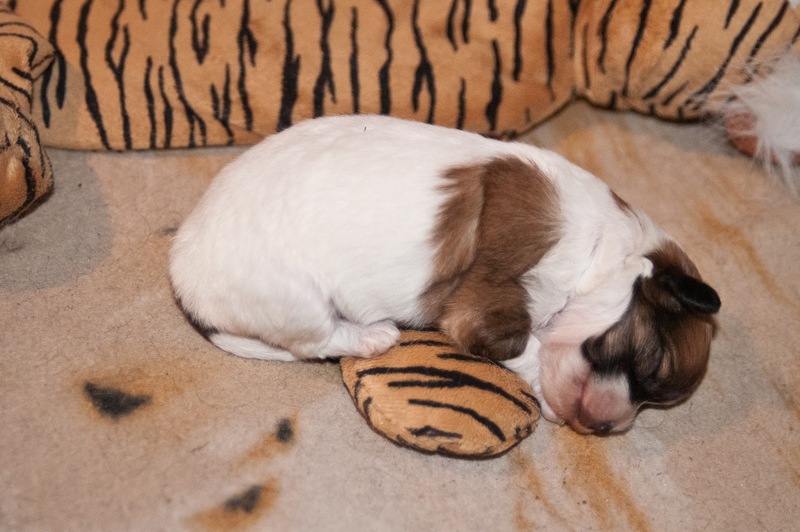 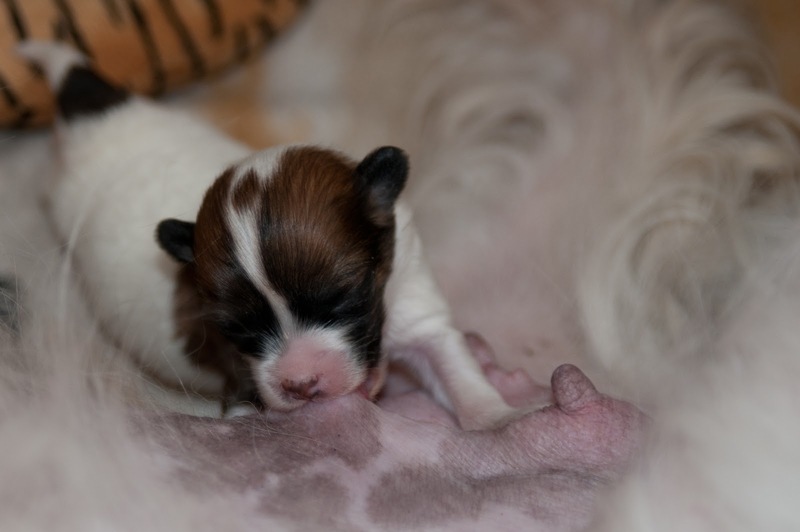 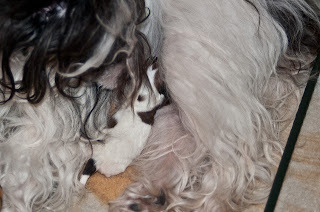 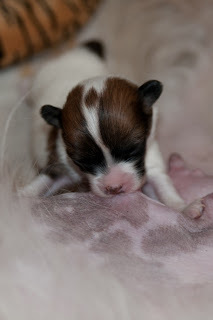 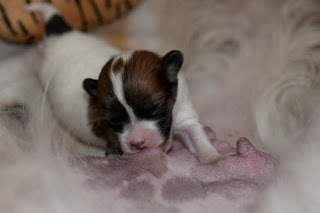 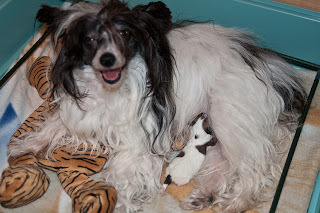 Born 06-02-2012, 1 Female Chinese Crested Powderpuff From the combination Zholesk Arrigo and Grazy Cherokee Little Charmings "Yenne" , we called her To Be, at Birth she was 150 grams. 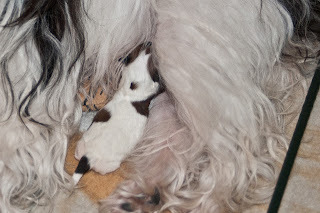 She is White Sable.